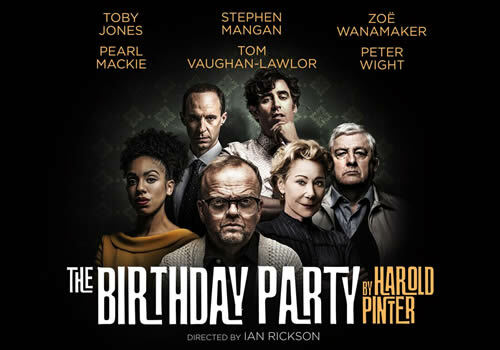 Ian Rickson directs an all-star cast in a 60th anniversary celebration of Harold Pinter's absurd comedy of menace The Birthday Party. 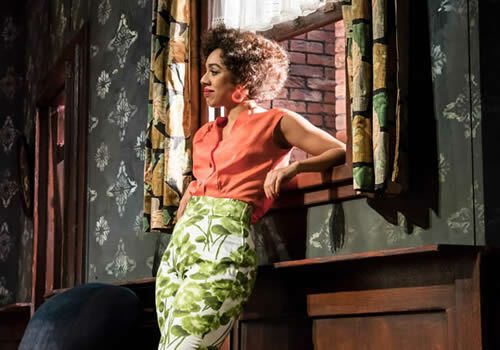 Playing a limited 14-week season at the West End's Harold Pinter Theatre, the play is only Pinter's second full-length work, and sees truths and alliances shift in what is considered to be a darkly comic masterpiece. Originally premiering in Cambridge in 1958, before transferring to London the following year, The Birthday Party is perhaps best known for the 1968 film, starring Robert Shaw. Stanley Webber is the only lodger at Meg and Petey Boles' quiet seaside boarding house. But when flamboyant strangers Goldberg and McCann arrive, any level of peace is threatened. Intent on disturbing the humdrum lives of the inhabitants and their friend Lulu, a seemingly innocent birthday party turns into a full-on nightmare. Tony Award-nominated actress Zoë Wanamaker stars as Meg, after most recently appearing on the London stage in Kenneth Branagh's Harlequinade and Passion Play. Arguably best known for her role in My Family, further screen credits include the Harry Potter series. Casting also includes Stephen Mangan (Jeeves and Wooster, Green Wing, Episodes) as Goldberg, Golden Globe Award-nominated Toby Jones (The Play What I Wrote, Sherlock) as Stanley and Pearl Mackie (Doctor Who, The Curious Incident of the Dog in the Night-Time). Further casting includes Peter Wight and Tom Vaughan-Lawlor. Directed by Ian Rickson, who most recently brought The Goat, or Who Is Sylvia? 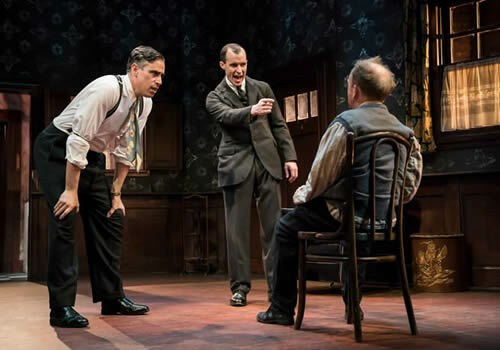 to the stage as well as critically acclaimed productions Betrayal and Old Times, The Birthday Party features design by the Quay Brothers, lighting design by Hugh Vanstone, sound design by Simon Baker and music by Stephen Warbeck. 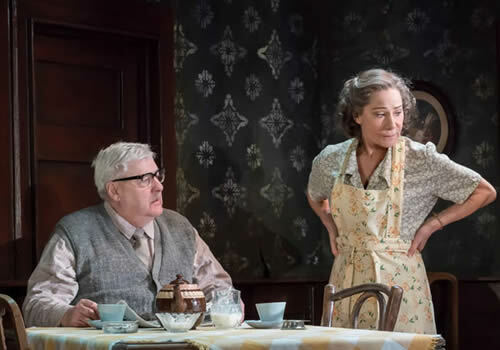 Considered to be one of Pinter's greatest plays, which also include the recently revived The Homecoming and The Caretaker, The Birthday Party comes to the West End for a strictly limited season. 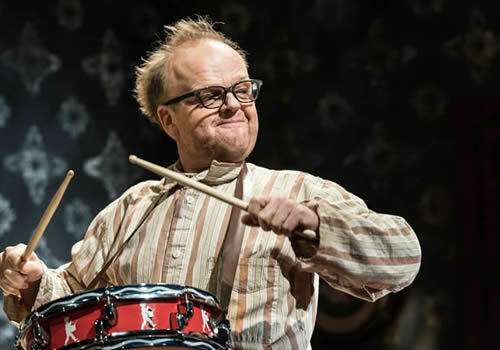 The production plays at the London venue from January 9th to April 14th 2018, with a press night on January 18th 2018. The Birthday Party may not be suitable for children.